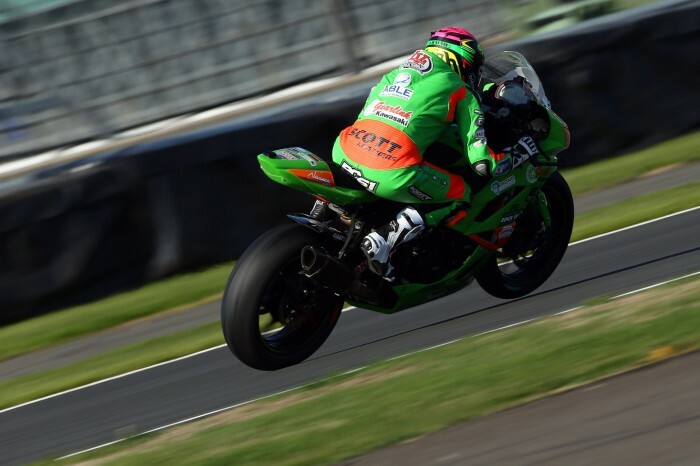 Gearlink Kawasaki’s Ben Currie held off a flurry of attacks from Alastair Seeley and Ben Currie to take victory in this afternoon’s Dickies British Supersport feature race. The German-born Australian pulled a gap in the final stages of the scrap after a 26-lap dice between the three front-runners, while Kennedy recovered from an off-track excursion to take 16 points and bolster his title challenge. 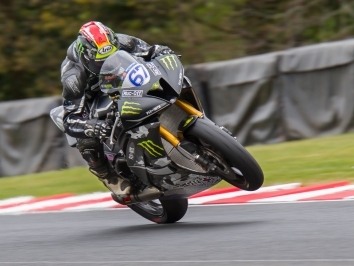 Currie nabbed the holeshot and led Kennedy, James Rispoli and Alistair Seeley into Maggots, but it wasn’t long before Integro Yamaha’s Kennedy levered his title rival aside to hit the front. Following suit, Seeley shoved Everquip Racing’s Rispoli back a place to move into podium contention as Currie moved back ahead of Kennedy. EHA Racing Yamaha’s Seeley then made a two-for-one move at Brooklands to slot into the lead, but moments later Kennedy ran off track at Copse after running in too hot on the inside of the Wee Wizard, eventually rejoining in eighth. While Currie and Seeley traded blows at the front of the field and Sam Wilford moved ahead of Rispoli to take over third, Kennedy was on a charge, storming through the field and moving into second to split Currie and leader Seeley with 10 laps to go. 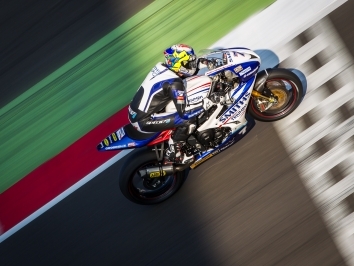 The top four was all change as Rispoli and RS Racing’s GP2 man Josh Owens caught up to make it a party of six, but the American ran off track and fell off in the gravel outside of Copse, taking him out of podium contention. Although it looked to be a battle down to the wire, Currie put his head down in the closing laps and pulled out a 1.194s lead at the chequered flag, while Sam Wilford matched his highest-ever finish in second, less than a tenth ahead of Owens. 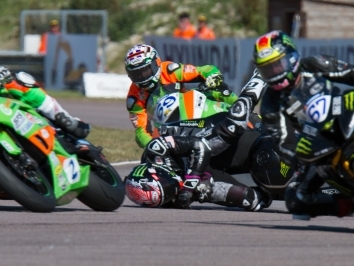 Kennedy took fourth overall while Seeley dropped to fifth after suffering a flat rear tyre.